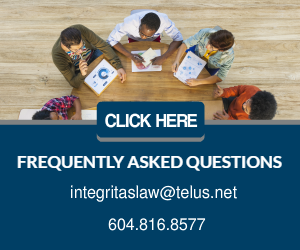 Employers have many obligations under the British Columbia Workers Compensation Act (the “Act”) and the related WorkSafeBC Occupational Health and Safety Regulation (the “Regulation”). Employer obligations include providing a safe workplace, establishing a valid occupational health and safety program, reporting injuries to WorkSafeBC and investigating incidents where workers are injured or equipment is damaged. If an employer penalizes, or threatens to penalize a worker for raising a health and safety issue, or for exercising health and safety activities, the worker can submit a discriminatory action complaint. (A unionized worker can choose to file a grievance instead). Once WorkSafeBC accepts the complaint, the onus shifts to the employer to prove that the action taken by the employer is not discriminatory because it was not motivated by the exercise of the worker’s occupational health and safety right or duty. A discriminatory action complaint must be filed within one year of the alleged discriminatory action. If the complaint is about failure to wages, the complaint must be filed within 60 days of the wages becoming payable. While a complaint of bullying & harassment falls within the scope of a health and safety issue, allegations about sexual, racial or other discrimination, do not fall within the scope of a discriminatory action complaint. If WorkSafeBc does not find discriminatory action on the part of the employer, it will dismiss the complaint. The worker or the employer can appeal to the Workers’ Compensation Appeal Tribunal within 90 days of WorkSafeBC’s decision. An employer against whom a discriminatory action is filed, must act promptly to deal with the situation. Because the threshold for filing this action is very low, defending against such claims can be quite complicated and it is recommended that employers seek legal advice on how best to proceed. Note that a worker can also file a discriminatory action complaint against a union.